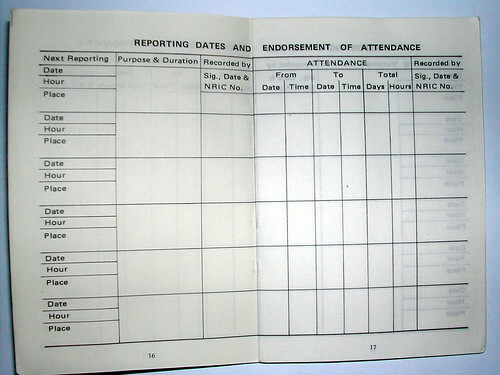 BMT; ROD; 11B; Loose it and you’ll sign the 1206; Drop 10; Book in by 2359; etc…. 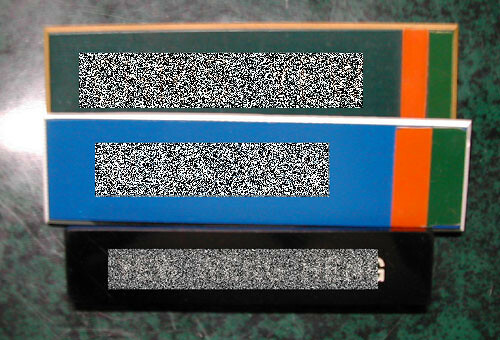 What’s all these? SMS jargon? For those who have been thru the National Service will know very well what I’m talking about haha. These are the things that most of us wouldn’t like to hear it…. lucky for me, I’ve already completed my Reservist cycle 5 yrs ago. 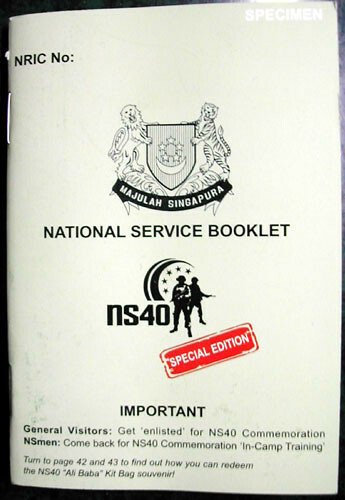 The first thing we received from the 1st booth is this NS40 booklet which you have to get it stamped when you visit the other booth. Upon completion, you can redeem a mini Ali Baba bag! My goodness, I’ve been waiting for so many years to get rid of that bag, and now my wife and kids are trying to get a few more Ali Baba bags…. 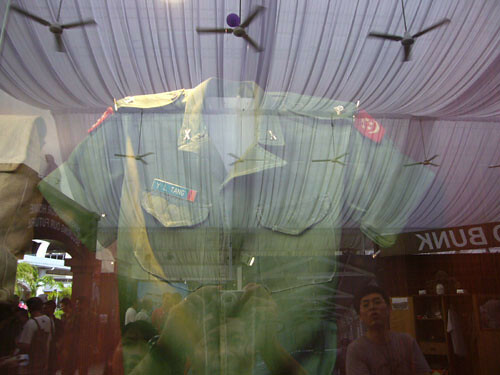 I didn’t get the chance to wear this No.3 during my army time but was wearing such during my school’s NCC (Air) time. 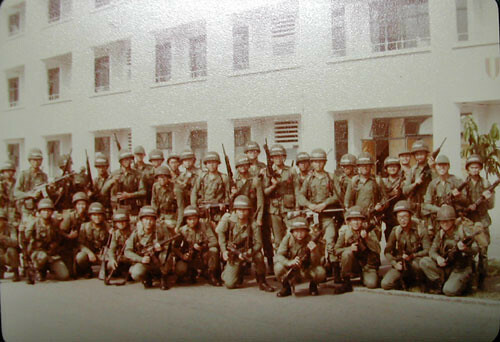 I was enlisted into the army in 1982. 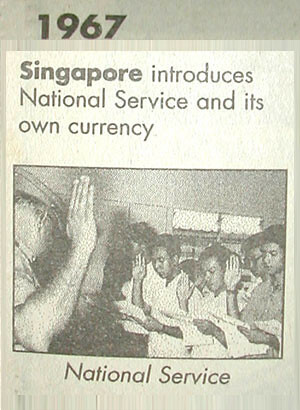 I remember I was picked up by buses at the Geylang Serai (at Haig Road near Blk.1) Community Centre. I was rather nervous (my parents were not there to send me off and I was all alone) as no one brief me what will be happening to me during my stint at NS. 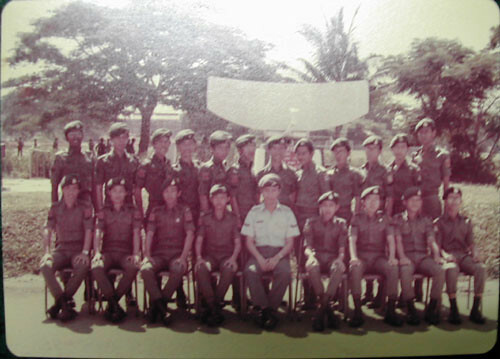 We were then taken to CMPB (Central Manpower Base) first and then to our training camp ITD (Infantry Training Depot) at Sembawang. 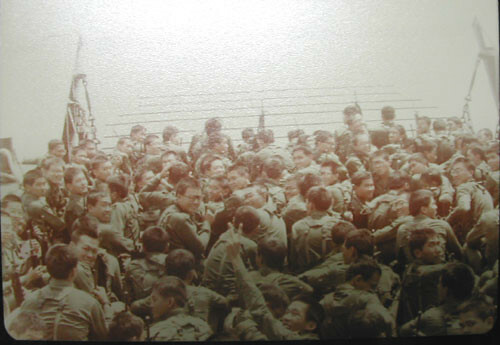 Above shows our platoon waiting to do our chin up before a meal (1982). Very soon 3 mths BMT training for us were going to end soon. It’s one of our favourite past time – cleaning our rifles (M16 at that time). Of course after eating, we had to clean and wash it very clean before returning the tray! 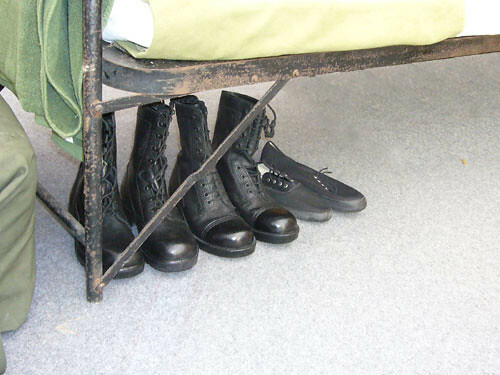 Just before completing our BMT, they had those recruitment excercises for the 3 forces. 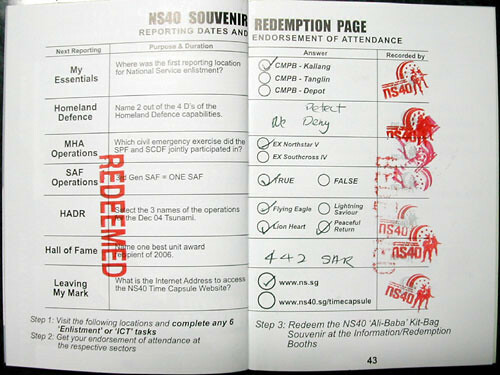 I signed up 6 years with the Air Force and ended up as the 6 DE (Direct Entry). If I knew earlier, I should have signed up earlier so my BMT will became SBMT (Shortened to 9 weeks only). 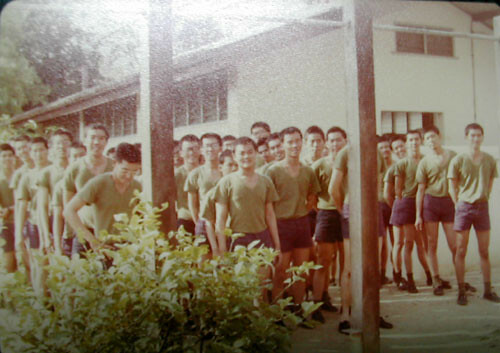 After completion of training, I was posted to Paya Lebar Airbase. As a Air Communication technician, I was posted to the base to service the aircrafts’ communication sets used by the pilots. 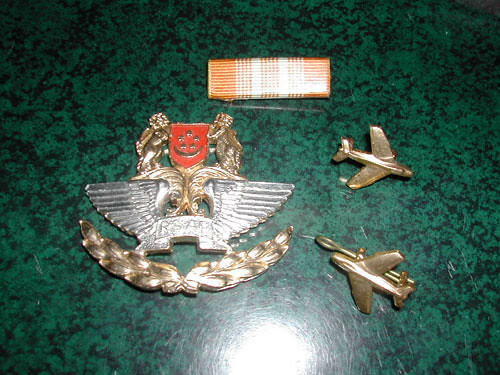 At that time, some of the planes were S211 (for trainee pilots), Stridemaster, Skyvan, Hercules, A4 and then later F5. After a year, I was then posted to Tengah Airbase where F16 and A4 became the ‘norms’. Finally upon receipt of the above, ends my Reservist Training cycle at the age of 40. “ORD” stands for “Operational Ready Date”? 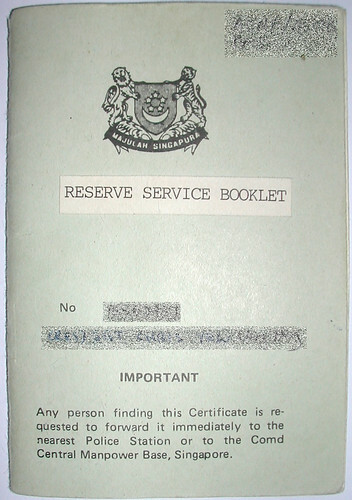 I think the change came at the same time when the term “reservist” was renamed “Operationally Ready NSman” because he could be called upon to fight a war anytime alongside with our regular soldiers and full-time NSmen. Thanks Victor. How come these never register in my mind??? Haha. 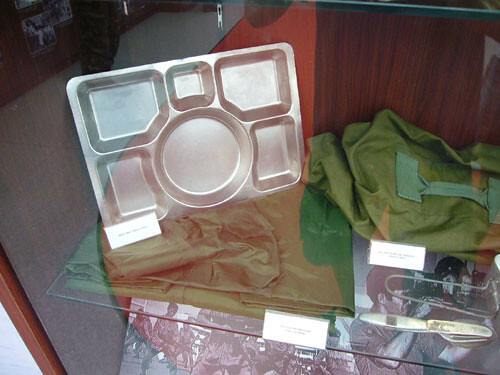 I cant recall the army giving us any underwear. My cousin also signed on (after BMT) in the air force (6 years) and was posted to Seletar, Changi (Skyvans) and Keat Hong. he was telling me that after 1700 hours when there were no military flights, they could walk across Runway 02 at Changi or do jogging up and down the runway. The exhibition at Tampines was over quite sometime. Nothing really fantastic really. Your cousin must be direct entry batch (for those Poly guys) right? Guess it depends on which airbase they are posted to and when. For my 6years stint with the force, I’ve seen changes in my OIC every now and then. So every new boss take over, new policy again. 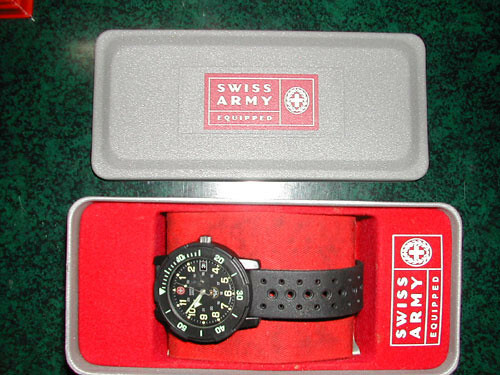 You still have a watch when your reservist cycle ended. 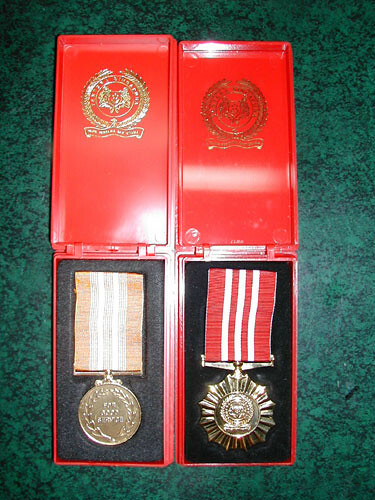 My battlion was the first reservist unit to go 13 year cycle. After 13 year, I got nothing! Guys nowadays are even more lucky. They go for IPPT test, they get money. During my time, no money for passing IPPT, fail and you get RT. I passed every single IPPT and I got nothing! 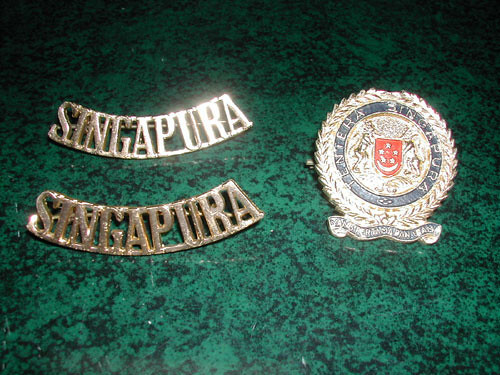 After i finished 13 year cycle, I was ‘recycled’ to go to SCDF until 50. After 45, IPPT no longer involved 2.4 km run but cycling on stationary bike. You have to maintain a steady speed for a certain period of time. It was not as easy as it appeared initially. Both the doctor and medic reminded me, ‘don’t force yourself if you think can’t make it’. As it I looked so unfit meh! 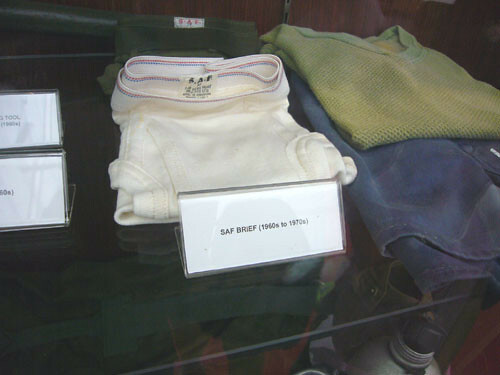 Stumbled onto your blog by chance searching for Sambawang BMT 1982. 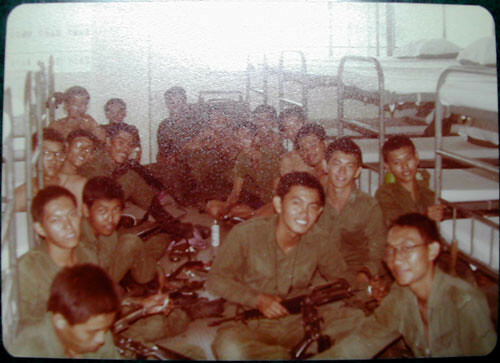 I was in Hotel company, platoon 32 I believe in the same 1982 year. I remember the long lines at the 1 or 2 public phones calling home or girlfriends before the mobile phone days.